This bulkhead connectors fit into 14mm threaded port (or 14mm opening) in your housing and are easy to install. 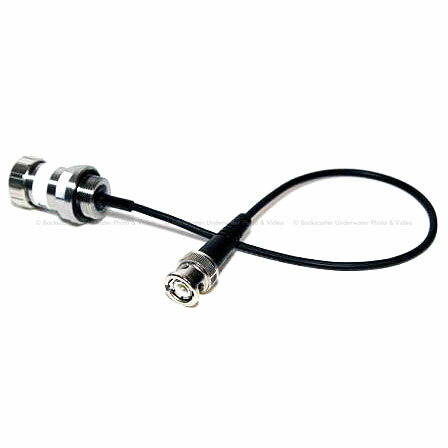 Being a manufacturer allows us to provide custom variations (1/2x20; M12; M14; M15; etc) of the underwater bulkhead connectors for HD SDI signal. . All of our bulkhead connectors have water blocks and are open face pressure rated to 85 PSI. . Custom length and other connector types are available.